Review Component Retail: Interconnects start at $345/1m/pr. and speaker cables at $1797/2m/pr. Ankara Turkey is the home of Sezai Saktanber and SilverFi, his small boutique cable atelier where he handcrafts cables using a special silver alloy in an unusual braided design. Two years ago, Srajan reviewed several earlier entry-level SilverFi cables and was impressed enough to create the Realsization Award category because of them. Not content to rest on his laurels, Sezai continued to experiment and improve his designs, hence this follow-up. Now in their 6th generation, Sezai sent just about every interconnect he offers plus his Sufi speaker cables. The interconnects ranging from the affordable Shaman to the top-of-the-line Samarkand sport three or more conductors covered in tight-fitting fabric sleeves and are terminated with either medium-mass RCAs or Eichmann's copper and silver Bullets. Balanced runs fitted with XLRs are also available. 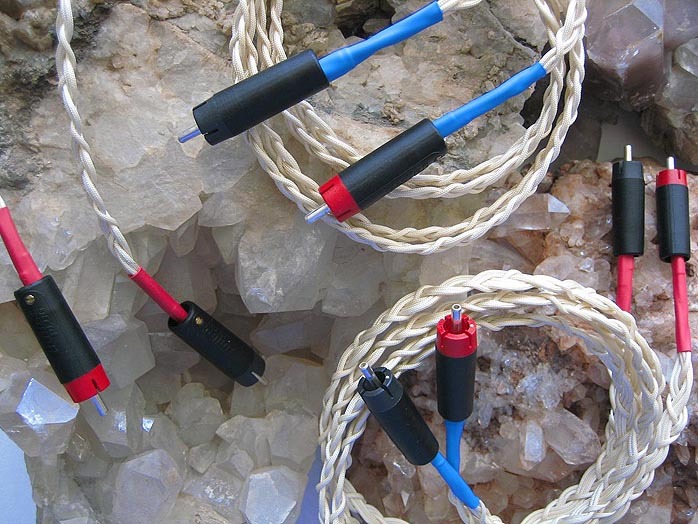 A line of digital cables is currently under development. Sezai was reluctant to specify what other metals are involved in his alloys or their ratios. While SilverFi's various models appear similar, the conductor gauge, number of strands and combination of metals vary throughout. A small plastic plate indicating model name connects to the cable pair via a hand-tied thread. Cables ship in a classy satin box. Red and blue heat shrink tubing adjacent to the RCAs identifies source and load. Overall, the cables are attractive, well made and flexible enough to easily route around components. 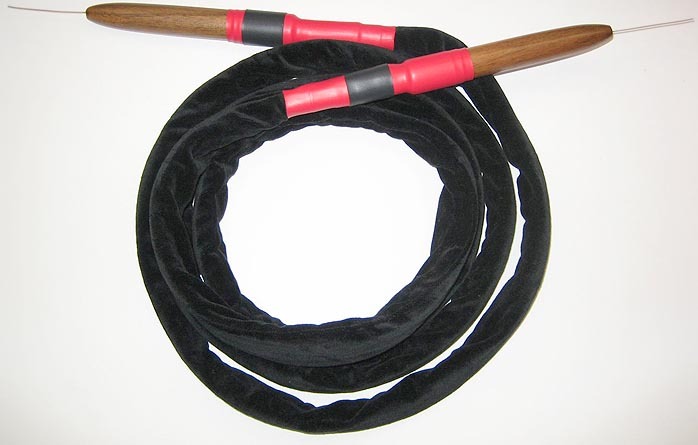 The Sufi speaker cables are braided as well but housed in separate soft black velvet sleeves for hot and return runs. As for terminations, forget spades or bananas. Sezai prefers a naked gold-plated pure solid silver strand embedded in a large bullet-shaped walnut plug. Unusual yes but sensible and a blessed relief to futzing about with spades. As with the interconnects, the Sufi was extremely flexible and easy to install in the tangled mess behind my rack. Recommended break-in time is 300 hrs minimum. Having enough components on hand to populate three systems, I connected my review loaners and let them be for a few weeks before listening critically. Ruthlessly cut and pasted from SilverFi's website, here's the low down on Sezai's Turkish Delights: "We have a unique drawing and casting technology. We manufacture our own specially cast silver and silver alloy. All SilverFi cables have air-gapped, discrete strand topology. All cables are fully handcrafted in-house. They simply cannot be made in a bulk. So, there is no cable bulk to cut from. Every model/order is prepared/manufactured one by one. All our products are bench-tested and sonically evaluated to assure uncompromised performance and quality. "Each silver alloy strand is housed inside wider sleeves so that each is loosely coupled to the dielectric and mostly surrounded by air. We try to abstain from using more dielectric or heat/compression techniques during annealing-drawing-tubing, which negatively affects the harmonic coherence and micro-macro dynamics. Heat and pressure changes the conductors' properties and affects the ultimate performance of the cable. "Our cables are not shielded. We feel that fully shielded systems sound un-dynamic, closed, lifeless, blurred, vague and fuzzy. A simple braiding architecture fulfills the function. But careful attention should be paid to cable routing nonetheless. Try to stay away from power and output transformers and power cables." Contrary to most other cable firms, Sezai doesn't just offer a line of cables that simply add more conductor mass as you go up the ladder. In fact, Sezai has several cables at fairly close prices. He doesn't believe that buying the most expensive or even most revealing cables is always the wisest strategy. He believes the goal should be to obtain a synergistic match in one's system without unbalancing it. Sometimes a less expensive cable might perform better than a pricier one. That's why Sezai is directly involved with each of his customers. A prospective customer emails his/her system details and sonic preferences. Sezai will then offer suggestions for an optimal match for that system. This is completely different from the practice of most if not all cable firms. 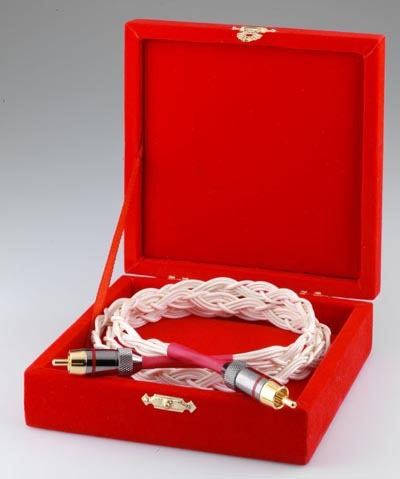 In fact, Sezai also offers custom versions of individual cables to obtain that perfect match. 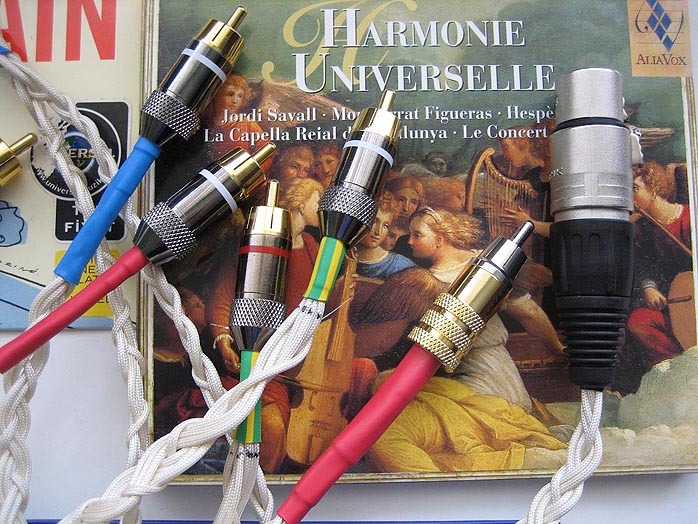 For example, the Sufi speaker cables I had are available in at least three different configurations depending on system needs. Or if you like the resolution and presentation of the Samarkand interconnect but want a little more tonal density and a touch warmer balance, Sezai will construct a custom version exhibiting those traits. For those obsessive/compulsive types out there, this could be a dream come true. Truth be told, I'm not exactly the picky audiophile type who would find that level of service particularly useful but I know many others will. Apart from aspects like transparency, timing and timbre, I tend to listen for an overall feel that just allows a closer emotional connection. It's difficult to define not unlike trying to describe the color blue to a blind man. However, I know it when I hear it and I certainly do with these cables. Over the several months I had the SilverFis, I tried various configurations. While I could alter sonics by swapping one SilverFi model for another, they all exhibited a similar overall sonic flavor. These cables are smooooth with a capital S. Forget all the crap you hear about silver being bright and zippy. Not with these cables. While playback was certainly dynamic and detailed with a terrific sense of space and venue, it never once seemed tipped up or overly aggressive. Conventional wisdom suggests that thin cables lack bass and testicular fortitude. Nonsense. What they lack is the bloated smeared overbearing bottom end than many incorrectly identify as true deep bass. For whatever reason, I've noticed that smaller conductors seem to avoid this bloated time-smear effect and present lower frequencies with more explicit transient fidelity, definition and rhythmic bounce. Nor were these cables bleached out or harmonically thin. Music playback was rich and full of body. Another key characteristic of the SilverFi wire loom was the lovely sense of space and openness. 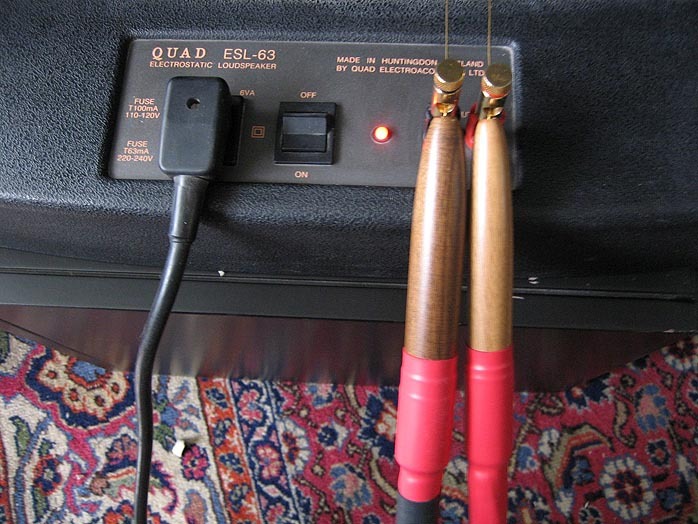 Some cable combinations can seem to confine music in a box to sound slightly claustrophobic. Not here. 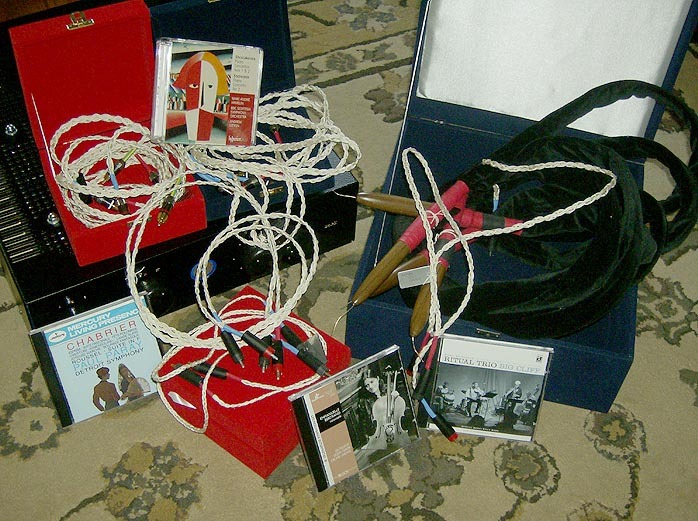 These Turkish cables excelled with soundstage dimensionally both in depth and width. Images were also remarkably full, developed and firmly anchored in this open sonic landscape. On large scale-orchestral works, I could peel back the layers and clearly hear the various sections of the orchestra. Instrumental and vocal tone color was exemplary. I noted no leanness nor excessive plumminess at all. Textures were real and lifelike. These characteristics were clearly audible from Sezai's cheapest interconnect and moving up through the line, brought not only greater tonal refinement and detail but also revealed more of the inner beauty of music - a little more of the musicians' intent and a little more musical truth. Plus there's that feel I mentioned earlier where I can just forget the hardware and simply groove to the music. The Eichmann-terminated interconnects were significantly superior to the other cables, enough so that I'd ask Sezai for custom Eichmanns on his entry level cables if I couldn't afford the top models. The differences were consistent with what Jeff Day wrote in his piece comparing the Eichmanns with other connectors. Truly, connectors are at least as important as cable materials and geometry. Even my wife Anne-Marie cottoned to the SilverFi cable loom. One Sunday during listening to some of her favorite music while I was messing around with wires, she initially opined that the sound was a little brighter but then after a few minutes said that bright wasn't quite the right word. She said it was just easier to hear more detail and the instruments sounded more real, whereas the other cables seemed to blur or slow things down as if the music was being squeezed. While listening to Janos Starker play the Bach Cello Suites, she could hear more of the texture of the bow sliding across the strings and that deep woody resonance of Starker's cello was fuller and more real. I'll take her word for it since Anne-Marie has played the cello for years. My favorite overall configuration was the Samarkand from DAC to preamp and the Bukhara Plus from pre to monos. I also tried various SilverFi cables on my analog front end. Due to claimed noise susceptibility with low-level phono signals, I thought using the unshielded SilverFi braids might be problematic. I need not have worried as I heard no increase in noise at all. On the other hand, I did hear increased hiss and hum with the SilverFis between my pre and monoblocks. I have noticed this with any unshielded cable regardless of make or design. I suspect this might be a result of the rather close proximity of output transformer, speaker outputs and power supply to the RCAs on my Mahis. I normally use JPS Labs Superconductor+ for this connection. The Supers are by far the most noise-immune interconnects I've used. When noise raises its ugly little head, the Super nails it to the cross every time and I don't really notice much by way of any reduction in openness or dynamics. Maybe a little but not enough to bother me. When I mentioned this to Sezai, he offered to send along shorter interconnects that might help reduce this low-level noise. I received several 70cm pairs of interconnects within a few days and indeed, noise levels were reduced, not to the level of the Supers but certainly better than before. Now I could maintain synergy throughout my signal chain. Braided cable designs can reject noise but in some noisy environments, nothing beats a solid copper shield. During the review process, I took the Samarkand and Moonshine over to a friend's house for the inaugural meeting of the entirely tongue-in-cheek Barrie Audio Appreciation Society or BAAS. Thus far, this sorry band includes yours truly, amp guru Peter McAlister and audio buds Jim and Igor. BAAS is mostly just an excuse to hang out, swap audio war stories, discuss music and drink beer; in Igor's case, a considerable amount of the frothy swill. During the course of the day, Jim allowed me to swap out his wire loom with some SilverFi. Peter comes from a solid EE background and was initially skeptical that we'd notice any difference. He proceeded to lecture us that cable capacitance, inductance and resistance were all that mattered. Okay professor, put the slide rule away and just listen. Right away everyone including Peter noticed a difference and a positive one at that. Music sounded a tad more dynamic yet also smoother, more open and transparent. In the photo above you can see Peter walking back to his seat frowning at the cables in his hand. He mumbled something about experimenting with various cable geometries and materials at some point. 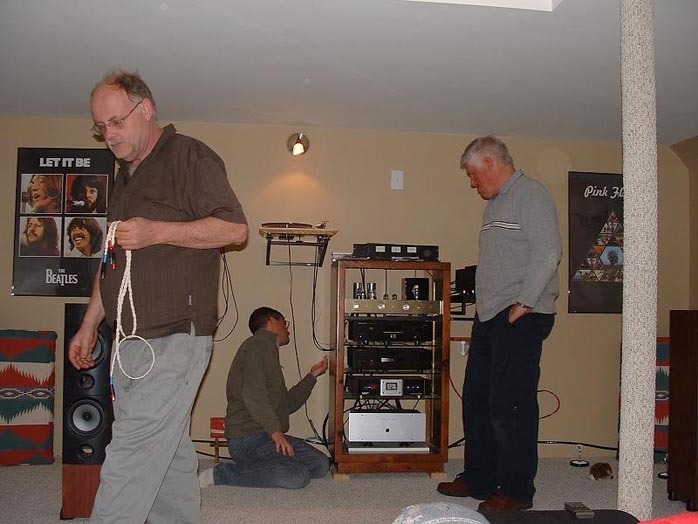 For a brief moment I thought Peter was going to cut open the cables for a closer look! Who says cables don't make a difference? Incidentally, Peter's amps have garnered considerable underground buzz. Rightly so. I'm impressed with what I have heard thus far and hope to review a pre/power combo in the future. You see McAlister's PL10 preamp on Jim's rack. Currently he has one of Peter's power amps on order to replace his failure-prone Belles 150A. 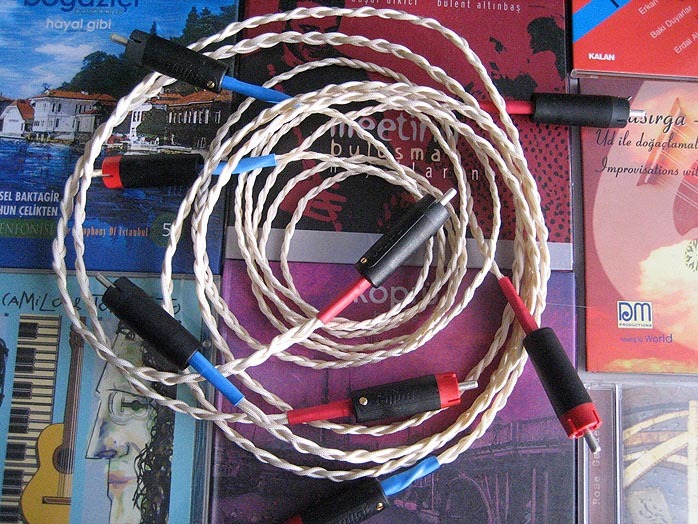 In conclusion, SilverFi cables were exceptional conduits to musical goodness. These are grain-free, transparent, open and dynamic yet tonally full-bodied cables that music lovers should enjoy. I believe balance is the key and Sezai is only an email away from helping you achieve that perfect balance for your own system. In terms of price and performance, these are among the more satisfying cables I've tried. Warmly recommended. Quality of packing: Cloth-covered jewel boxes. Website comments: Informative, with good quality pictures and pricing info. Pricing: Something for just about every budget. Final comments & suggestions: SilverFi has a continuous upgrade policy whereupon a customer's existing SilverFi cable can be upgraded to a newer version or replaced with a more advanced model. I would like to thank Paul Candy for taking his time to get to know the SilverFi Cable Atelier products and Srajan Ebaen for making this review possible. I'm honored to be a part of this review not only because of Paul Candy's dedicated months for auditioning and passion for music but because of his insightful evaluation into audio. The number of SilverFi cables that were auditioned were about triple of a normal review. This must be the most comprehensive SilverFi review up to now. It was a great project. Thank you 6moons. And opened so many curtains.